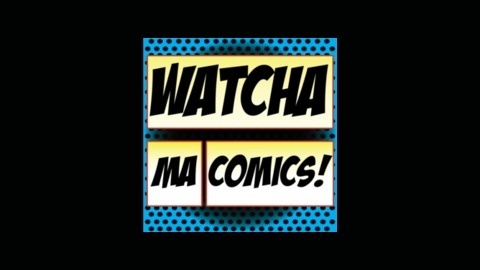 Watchamacomics is a podcast devoted to spreading the love of all things comic-related. Loyal fans Austin and Todd discuss a wide variety of topics with other fans, artists, cosplayers, and enthusiasts of all natures. Join in the fandom as they wax philosophical, crack wise, and talk about the real issues. 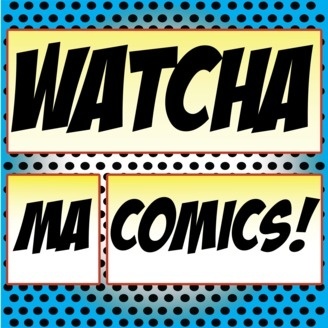 Welcome to the first ever episode of the Watchamacomics podcast! In this episode we are joined by our friend and local artist Edgardo "Egg" George to discuss comic books in Latin America, Sin City, Guardians of the Galaxy, and quite a bit more. Due to the length of this episode we ended up having to break this up into two separate episodes, so be sure to join us next week for the 2nd half of our talk with Egg. Be sure to check out lerlerler.com to see the artwork of Egg and his partner in crime Lance King. If you would like to donate to help us out some you can do so directly at cinnamoncitycomics.com/donate or use our Amazon affiliate link by going to cinnamoncitycomics.com/amazon and then just shop as you normally would. We encourage you to join the discussion by commenting on the podcast or simply shooting an email to podcast@cinnamoncitycomics.com. It would also help a lot for you to rate/review us on itunes by going to cinnamoncitycomics.com/itunes. We appreciate your support immensely and we would love to hear from you.